Population: 61.12 million (2012), there are 135 nationalities in Myanmar, 65% of which are Bamar. Each minority has its own languages, Kachin, Karen, Shan and Mon have their own characters. 2.5 million ethic Chinese live in the country. 85% of the population believe in Buddhism and 8% believe in Islam. Capital: Nay Pyi Taw, with a population of 920,000. Profiles: Myanmar is located in the west of Indo-China Peninsula. It is bordered on the northwest by the Chittagong Division of Bangladesh and the Mizoram, Manipur, Nagaland and Arunachal Pradesh states of India. Its north and northeast border straddles the Tibet Autonomous Region and Yunnan province for a Sino-Burman border total of 2,185 km (1,358 mi). It is bounded by Laos and Thailand to the southeast. It has a tropical climate, with the annual average temperature of 27℃. Resources: Myanmar produces precious stones such as rubies, sapphires, pearls, and jade. Rubies are the biggest earner; 90% of the world's rubies come from the country, whose red stones are prized for their purity and hue. Thailand buys the majority of the country's gems. Myanmar 's "Valley of Rubies", the mountainous Mogok area, 200 km north of Mandalay, is noted for its rare pigeon's blood rubies and blue sapphires. History and Culture: The Republic of the Union of Myanmar is officially founded on Jan. 14th, 1948. 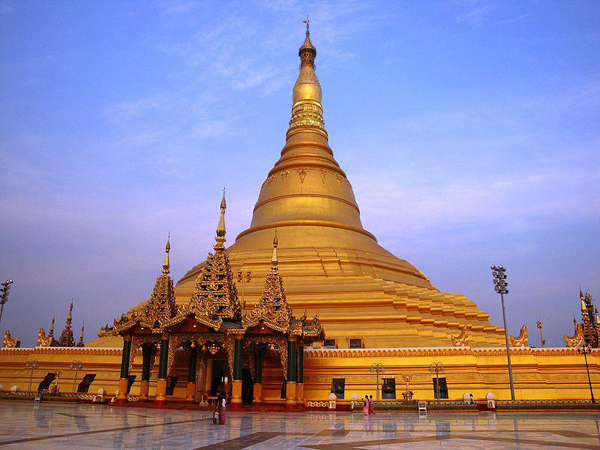 On Nov. 7th, 2005, the government of Myanmar declare that the capital is officially moved from Yangon to Nay Pyi Taw. On Oct. 21st, 2010, Myanmar officially adopted the new national flag and national emblem, and changed the name of the country from the Union of Myanmar to The Republic of the Union of Myanmar. Myanmar’s old culture is deeply influenced by the India in religion, literature and politics. Pagan dynasty is the representative which is established in eleventh century. The art of engraving and painting are very flourishing. The Burmese is the official characters of their scriptures, and is created by their own. 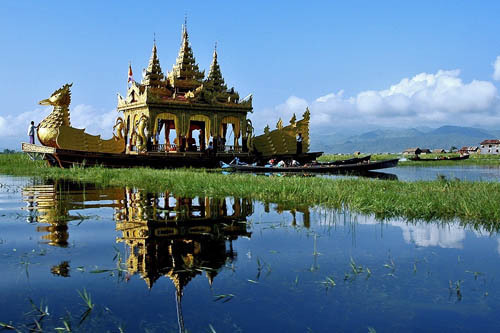 Tourist attractions: Inle lake is probably the most magical place of Myanmar. This vast lake is located in the heart of Shan State which shares borders with Thai & Laos; it's one of the hightest lakes of Myanmar at an altitude of 900 metres above sea level. More than 30 hill tribes are living in the mountains. Pagan, the time-honored ancient city, Buddhist cultural relics, is located in the middle of the country, on the bank of the Irrawaddy River. The urban area still keeps the pagodas and temples, which are the miniature of the Myanmar’s architectures. They embody the intelligence and creative power and become the precious historical and cultural heritage.